Are You Looking for Window Cleaning Services in Afton? Afton has some of the very best in exterior cleaning services out there. Just ask the residents as they’ll tell you that Cavalier Window Cleaning & Power Washing offers near award-winning services. You won’t be able to believe all of the great services that we are able to provide for your home or business. 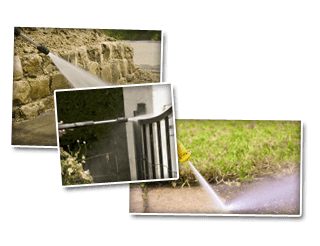 A percentage of homeowners in Virginia come to us because they know that they will receive the very best in pressure washing services. You’ve seen how clean windows are in the area on homes as we’re responsible for them. Services such as our pressure washing always come with a smile. You’ll be guaranteed the best customer service around when you come to us for basement floor power washing. Call and schedule yours today and make your basement more practical. One of the reasons that a basement floor does not get used all that often is due to the condition of the floors. Basement floors are known to be filthy. We’re here to tell you that they don’t have to be any longer. We bring exterior pressure washing inside the home as we’ll take care of the concrete flooring in both your basement and garage. If you use your basement for storage for your personal items then don’t you want a clean place to store that stuff? Some say that the widows are the corridor to the soul. Whether that’s true or not is debatable but there is one thing for sure; windows need to stay clean at all times in order for maximum efficiency. Just one clean window in the home can save you a few dollars per month off your utility bills. Can you imagine how much several widows can save you? If you’re not sure about hiring a professional cleaning service for your windows then think about how hard it was the last time that you had tried to clean yours. If you almost fell off your ladder and nearly broke your neck, why risky it again? Call Cavalier Window Cleaning & Power Washing for professional window cleaning services and save yourself a trip to the ER. Hardieplank siding is also referred to as fiber cement. It’s been around for a very long time and still used quite frequently today. Hardieplank siding is hard and think siding which is very hard to damage but as far as getting dirty goes; it’s prone to dirt and grime. If you are in need of either a window cleaning from Cavalier Window Cleaning & Power Washing or to pressure wash your siding; call the experts and watch the dirt and grime come off your home instantaneously. If there is one thing that we know; it’s how to keep the exterior clean. If you are looking for a Afton window cleaning & Power Washing Company then please call 434-823-1737 or complete our online request form.